Most people looking for a real estate investment strategy are seeking two key things (besides a solid rate of return) when they approach the idea of investing in cash producing real estate. They want simplicity and they want safety. It is very rare that I meet with somebody who wants to be actively involved in property management, and nobody wants to put their hard earned savings at risk. With these two points in mind, today's blog post (my 900th on the Tallahassee Real Estate Blog) will explain a real estate investment strategy designed for strong rates of return while remaining both simple and safe. Before we identify and explore the 5 critical elements of a simple and safe real estate investment strategy, it is important to understand how a long term plan of "buy and hold" is the safest and smartest way for the typical investor to grow wealth. I have created a short video explaining how we use real estate market cycles to buy low, and sell high. If you like the video, please pass it along your social networks with the buttons embedded in the video. When I meet with most "wanna be" investors for the first time, I ask them to tell me their desired rate of return, or return on investment (ROI). Hardly without fail, the answer I get is "as much as possible," but this is not a very well thought-out response. If you are going to be investing in real estate, then it is safe to assume that you will be removing your money from an existing investment in order to facilitate this new venture. I believe real estate investing requires a higher level of involvement than do most other investments, so I believe the investor should demand a higher rate of return in real estate than he or she could get elsewhere (mutual funds, bonds, stocks, etc.). An ROI goal should consider all other opportunities the investor has, and it should be realistic and rewarding. Don't just pluck a number out of a hat, set a target that once achieved, will confirm that your real estate investment strategy beat all other valid investment opportunities. Real Estate Agent - Your real estate agent should be your investment counselor and assist you in finding the right properties for your portfolio. Work with somebody who has numerous real estate investments and who can demonstrate a solid grasp of the numbers. Most agents are not qualified to help you, but everyone will try. If you want long-term success, make sure you pick the right agent. Property Manager - A property manager is going to be the person who will safeguard your investment and help you squeeze the return from your investment. The process of choosing a property manager should not be made lightly. Most likely, your real estate agent will know a very good property manager in the area. I would recommend you interview some recommended managers and pick the one that you think will give you and your properties adequate attention. Real Estate Attorney - If you own property long enough, you will be faced with situations that require legal assistance. It is far wiser to have somebody in mind to handle these issues before you face them. Ask your property manager and real estate agent for recommendations for a highly skilled real estate attorney. Do not make the mistake of using an attorney who does not specialize in real estate, as it will cost you greatly. Mortgage Broker (Loan Originator) - In order to maintain the highest possible ROI, you most likely will be using leverage in your real estate investment strategy. Therefore, ensuring that you get the best mortgage interest terms when you borrow money for your real estate acquisition is important enough that you should hand select the mortgage broker that you will use when you buy each investment. Again, turn to your real estate agent for recommendations on the best mortgage originator with whom to work. Accountant (with strong real estate background) - It's not about making money, it's about keeping it! Most accountants have specializations, make sure the one you work with can demonstrate that she or he knows a lot about real estate. Reducing taxes helps increase your ROI, so a skilled accountant is an important player that will help you execute your real estate investment strategy. We have written numerous posts in the past about "the numbers" for real estate investing, and I would recommend that you read this real estate investment article and all others of a similar nature. The numbers can be confusing to novices, but once you read through and practice a few exercises, you will find that real estate math is not at all difficult. Just know that there are safeguards that you can establish to ensure that you do not take any unwarranted risks. While nothing in life is guaranteed, there are some smart decisions that you can make regarding "the numbers" that will ensure that your real estate investment strategy is safe. Much of the real estate investment marketing on the internet promotes buying properties "where the best returns can be found." If you are a large, institutional investor with a solid staff, this might be the best solution for you. But if you are a small investor with less than $5M in real estate holdings, I would urge you to establish an area of operations that exists close to where you live (or spend a lot of your time). Some of the most obvious signs of opportunity can be found in your every day life, and living in your investment area will make you an informed investor. Think about how little you know about some of the companies that you've invested in the stock market, and yet you are practically an "insider" when it comes to what is going on in your local community. You have opinions and thoughts about different parts of town and different neighborhoods, so use this to your advantage and only buy your properties in areas that have longevity and a very stable, predictable future. The fifth and final element is crucial to your success. This is so simple, yet so important. If you are excited about a property that you are acquiring and want to "show it off" to your friends, then you are most likely making a mistake. Safe real estate investment should be built on a portfolio of "ho-hum," blue-collar, nice working class family rental properties. They should be in great condition and in areas that will likely be strong for another 50 years. Exciting properties carry risk, boring properties do not. Boring properties stay filled with great people who help you reduce your mortgage debt while you wait for real estate market cycles to shift to a seller's market. Buy boring, and the returns will excite you. 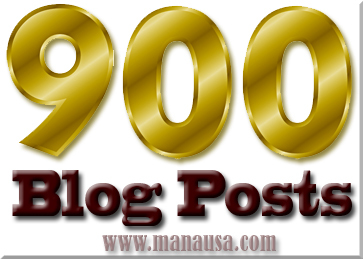 This 900th blog post was one of my longest ones, but it lays out the foundation for a great way to grow your wealth. If you are interested in a free, initial consultation for exploring a simple and safe real estate investment strategy, just follow this link to schedule a time to meet.